It was Jim Collins who said that it is important to get the right people in the right seats on the bus (Good to Great). Even if everyone in an organization has their "why," each person will bring different strengths, talents, and weaknesses to the table. 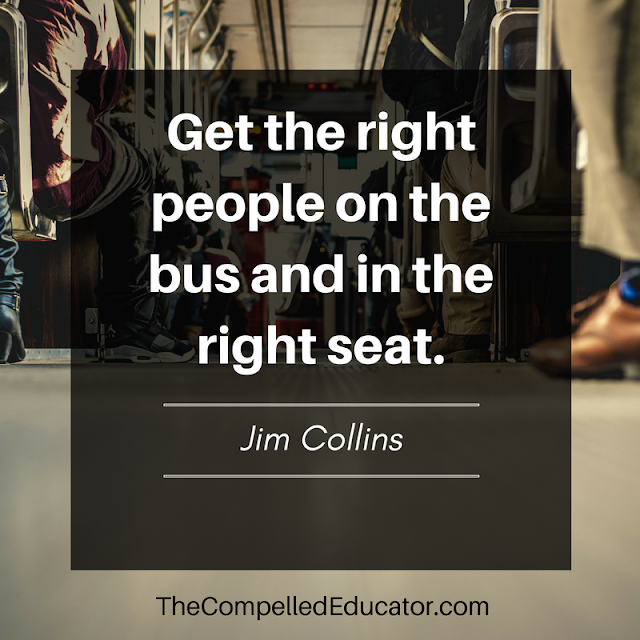 Getting people on the bus is extremely important, and one of the most important responsibilities of a school leader is hiring people who will make the organization better. But, what about members of an organization who are already there? In education, where there are teacher tenure laws, how can we make sure that everyone is in the right seat on the bus? There's a survey tool that may be of assistance, called the VIA Survey of Character Strengths. The survey identifies a person's 24 character strengths, which all fall under six core virtues: wisdom, courage, humanity, justice, temperance, and transcendence. In about 15 minutes, after 120 questions, you will be able to download a report of your 24 strengths. I recently took the survey in order to give me insight to my strengths and weaknesses and to identify those strengths that I display most often. If I follow Collins' belief about getting the right people on the right seats, I can use the strengths survey to help me make decisions that will allow me to play to my strengths and bring my best to the table. 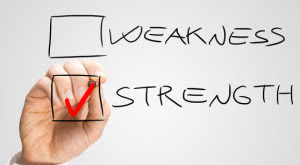 Even though we are tempted to focus on our weaknesses first and try to fix them, it's important to remember that we should focus on our top 5 strengths and use them to develop the weaker ones. If you're a leader in your organization, the VIA Survey would be a good tool for your leadership team. By creating situations where team members can use their strengths to shine, leaders cultivate cultures where employees are valued and appreciated. How do you know if you're on the right seat on the bus? What tools do you use to empower your employees and celebrate their strengths? Appreciate this post Jennifer, it is so important to lead in a way that empowers staff. When we feel strong and confident, we are ready to leap into that next step. When we feel weak and defeated, we want to crawl into a hole. Thank you for this post!